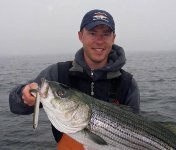 All of my lures are hand-turned on a lathe and are designed to mimic the primary forage species of gamefish found along the Massachusetts coast (striped bass, bluefin tuna and bluefish, etc). 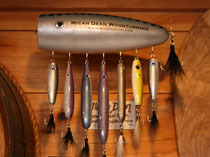 Each lure is built with 300-pound test stainless steel through-wire, 4X VMC treble hooks, and 150-pound test split rings. The unpainted hardwood blanks are treated with a water-sealer, painted and then finished with 2 coats of a durable high-gloss epoxy finish. 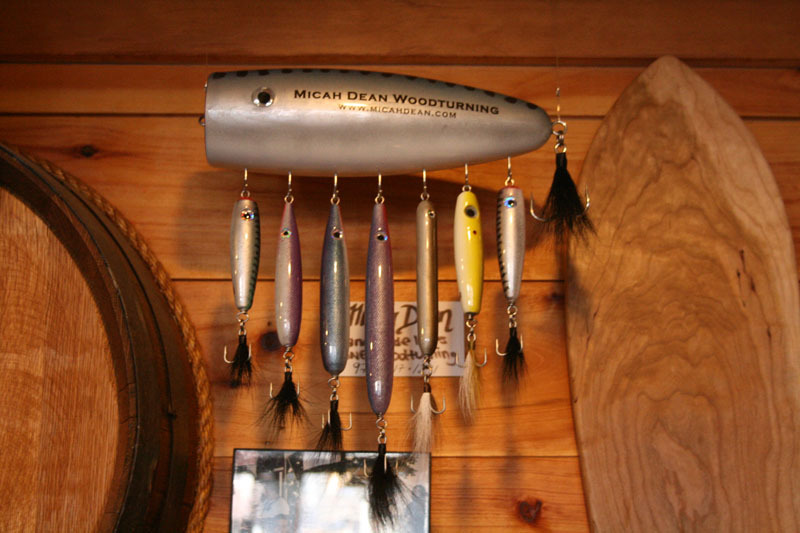 Currently, my lures are for sale via this website, the Fin & Feather Shop in Essex, MA, First Light Anglers in Rowley, MA and behind the bar at the Cape Ann Brewery in Gloucester, MA. Yes, i know it's a little strange to have a Brewery as a retail tackle shop...but they are the home of the Fisherman's Brew. 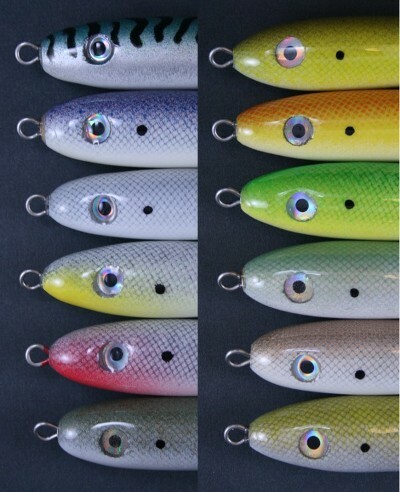 Listed below are the lure styles that I make. If you are looking for something a little different, (different size, different paint job, etc) just send me an email and we can set up a custom order.